Zebra KR403 - KISOK PRINTER. Ethernet/USB/Serial. 203 dpi. Building on Zebra kiosk printers' reputation for reliable performance in tough printing environments, the KR403 receipt printer offers enhancements ranging from excellent print quality to expanded memory, fonts and barcode sets, including the retail industry required GS1 barcode. Power supply, 24V, 70W, 110V/220V, CEC, Compatible with KR403. US AC line cord for LP and TLP series Desktop printers, (Set of 5 cords). 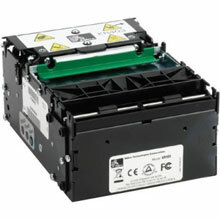 See 105950-060 for full power supply kit. The Zebra P1009545-3 is also known as ZEB-P1009545-3	or P10095453	.